A new division of the Bermuda Chamber of Commerce has been formed with the aim of advancing the telecoms industry, placing customer interests at the fore. The Electronic Communications Division [ECD] of the Bermuda Chamber of Commerce is a forum for the island’s telecommunications companies to discuss common issues to assist in raising the standard of the industry, the Chamber said. 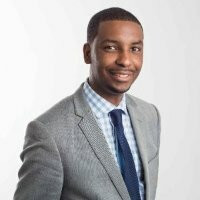 At the inaugural meeting on March 31st, Kyle Master [pictured], Legal & Regulatory Counsel with Digicel Bermuda & BTC was elected Division Chairman with Edgar Dill, General Manager of Link Bermuda being elected Deputy Chair. Kyle Masters explained, “While individual businesses within a sector will always maintain healthy competition between each other, there are times when collaboration and unified action are better for the country and end users as a whole. Kendaree Burgess, Executive Director at the Chamber of Commerce added, “The Bermuda Chamber of Commerce is delighted to acknowledge the formation of our newest division. “Telecommunications is a competitive and growing industry in Bermuda, delivering services that affect almost every resident and all businesses across the country. Sshhhhhhhoo…sshush chile…don’t let bermuda regulatory authority know…they will require a fee to regulate you….do not publicise this shoo…tell them you were just kidding!